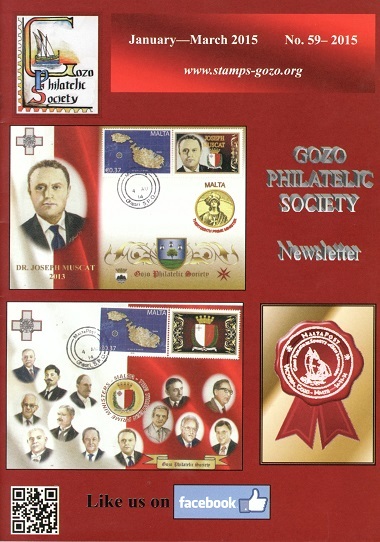 The first issue of the newsletter publication was issued on 12th February 2000. This publication is distributed to members quarterly: some thirty pages of illustrated information and news. It is among the more popular benefits enjoyed through membership. 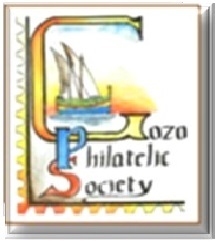 Past numbers can be acquired by writing to:secretary@stamps-gozo.org and can also be viewed online. The book published with substantial co-financing support in the Gozo Ministry Eco-Gozo scheme for NGOs has been receiving very positive feedback since its launch during the official opening of our 12th Exhibition - not surprisingly! The over 60 full-colour A4 pages are chock-full with illustrations and information, presented in a most interesting format and style which make it quite difficult to stop reading and browsing - beginning from the innovative cover focussing on Nature & Culture. 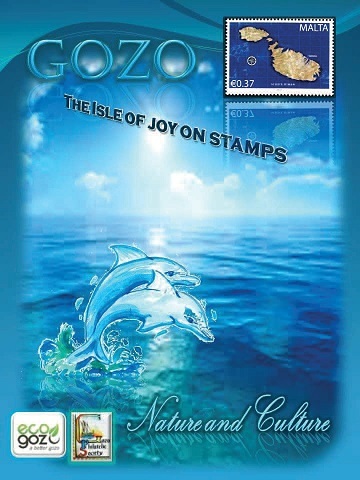 Copies can be acquired by writing secretary@stamps-gozo.org.